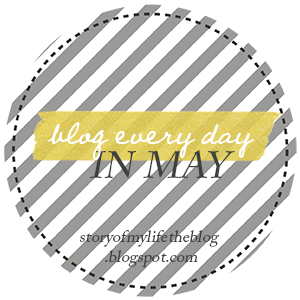 For day 17 of the Blog Every Day in May Link Up, we're supposed to show you guys a favorite photo of ourselves and why we love it. Here's mine! It was really hard to pick a favorite photo. That sounds conceited. I am not, trust me. But I have mastered the art of a good selfie and with all the outfit posts we've taken and the 800 wedding pictures, there were some good ones to choose from. I chose a wholly unflattering one of me crying because I just really love this moment. 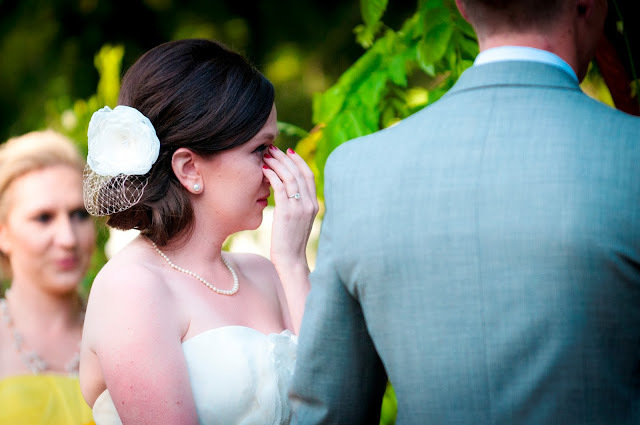 I was not, up until this point, a wedding crier I especially wasn't an "I'm so happy and overwhelmed with love" crier. That was not me. I started out our ceremony standing calmly with my hands together in front of me, totally playing it cool and ready to get the ceremony over and the reception going. things in life that often open your eyes to the good things you weren't paying attention to before.'" And I lost it. And Mike, my unemotional, cold little robot I always joke about reached over and grabbed my hand and it was the sweetest moment and I lost it even more. Mike's protective hand covering mine and the goofy grin on his face while John did the ceremony was one of the best moments of my life. I'm so glad I broke down and cried and let go of some of the stupid things I was holding onto before that point.